How Long Does It Take For Pipes to Freeze? 1 How Long Does It Take For Pipes to Freeze? 3 What Should Be Done When Pipes Are Frozen? 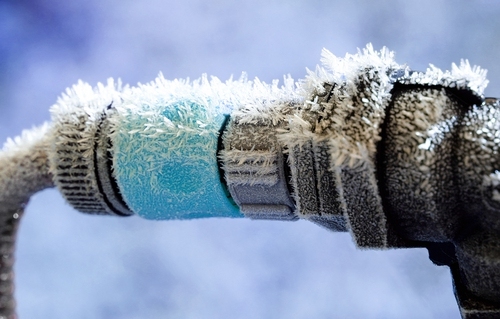 Freezing of pipes and then bursting is very common at some places, especially in winters. This happens due to the expansion of water when it freezes under sub-zero temperatures. Many people are in search of the answer to this simple query that “How long does it take for pipes to freeze in a house with no heat?” How long does it takes for pipes to freeze? This article give you the answer to the question, help you prevent from the hassle frozen pipes and will tell you how to deal with them. The scientists have published a table that is based on the size of pipes along with the insulation thickness and other parameters. They took the measurements or dimensions of the pipe (of 2’’ with insulation of 1.5 inches) at a temperature of 42 °F and then took the measurements at a temperature of -18 °F in a very limited time. The results showed that the pipe froze in 1.4 hours. The example is a bit biased especially when considering the places with extremely low temperatures like northern Canada, but experiments like these have also been done in places of extreme conditions so that the results can be implemented at other places, including southern states where the pipe with similar characteristics will freeze in around 4.6 hours when exposed to a temperature of 20 °F. Leave tap open: On running water, freezing is less likely to happen. Water in the pipes keeps moving, which reduces the possibility of jamming and thus bursting. Leave some space around the pipes: Try to leave some open space around the pipes to allow some hot air to keep in touch with pipes. The movement of air around these pipes helps them to keep warm and not freeze. Keep your house warm: keep the heating system of your house on; this will also prevent the freezing of water in pipes. Insulate: Cover the pipes by wrapping them with foam. In case they are not accessible, open the area around the pipes to allow the area to get heated. You can also use heater for keeping the area warm. What Should Be Done When Pipes Are Frozen? Turn the water off: The immediate help is to close the valve of water supply of your home and call the water supply company for immediate help. Open faucets: It allows the frozen water to get melt and reduces the excessive pressure in junction of pipes. Halting the water flow also helps in melting the ice present in pipes. Turn the water heater off: Empty water heater can cause damaging results like bursting and releasing extra gas, water supply can also be halted to avoid any damaging effects. Thaw the pipes: Do something!! When your pipes freeze, wasting time and waiting for nothing can prove to be very dangerous. Best thing is to thaw your pipes because undisturbed and uninterrupted ice is more likely to get burst. No matter it has already been cracked or not, you can still work to let the ice break and this won't make things worse. It is imperative to mention that frozen pipes can be thawed to minimize or even prevent the damage. Thawing helps in restoring the normal temperature and restoring normal circulation in the pipes. Please watch the video to know how you can thaw your frozen pipe. The situation of frozen pipes needs to be handled properly with extra care, if mistreated they can be disaster for your house. Follow the tips carefully that has been provided for the query to avoid any inconvenience later on. Server responsed at: 04/19/2019 10:33 p.m.